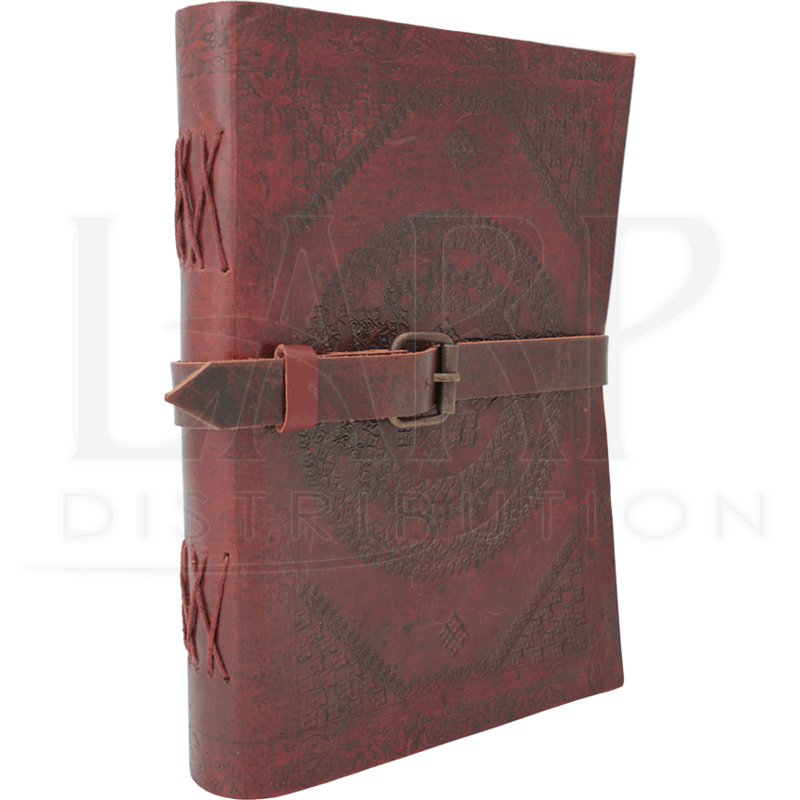 A journal like this Large Buckled Leather Diary is well suited for recording anything you may encounter on your journey. That makes this journal a must have for any trip you might take, no matter how short or long it may be. Crafted for adventuring, this journal features a leather strap and antique buckle to secure the covers closed. The top-grain leather cover is stamped with a unique design that makes this journal an eye catching piece. Fashioned with the old ways in mind, the pages are bound together with traditional string binding. 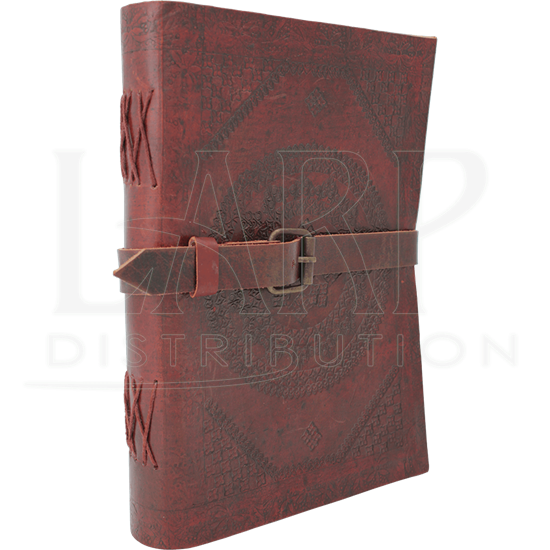 With blank pages this Large Buckled Leather Diary awaits the right owner who will fill its pages with their exploits and quests.